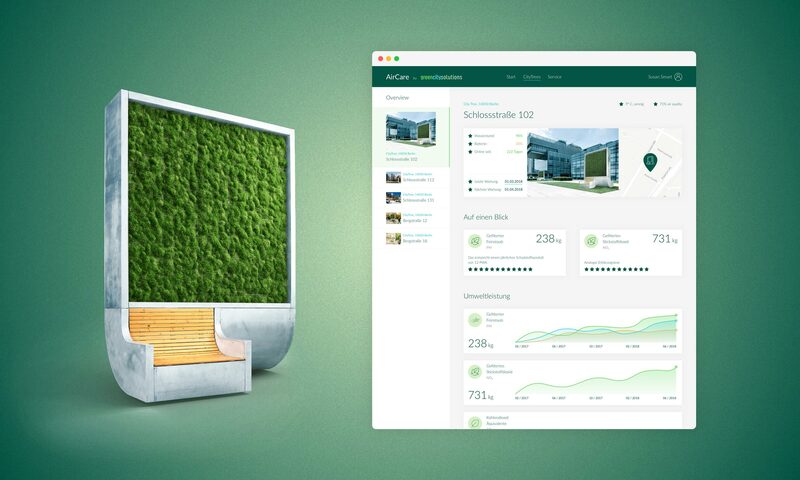 AirCare is the name of the visual user interface to manage so-called CityTrees – a product by Berlin-based startup Green City Solutions. The CityTree is the world’s first biotech filter to improve the air quality of cities quantifiably. As the CityTree is a high-tech installment, it contains a unique IoT technology infrastructure that includes numerous points of measurement. 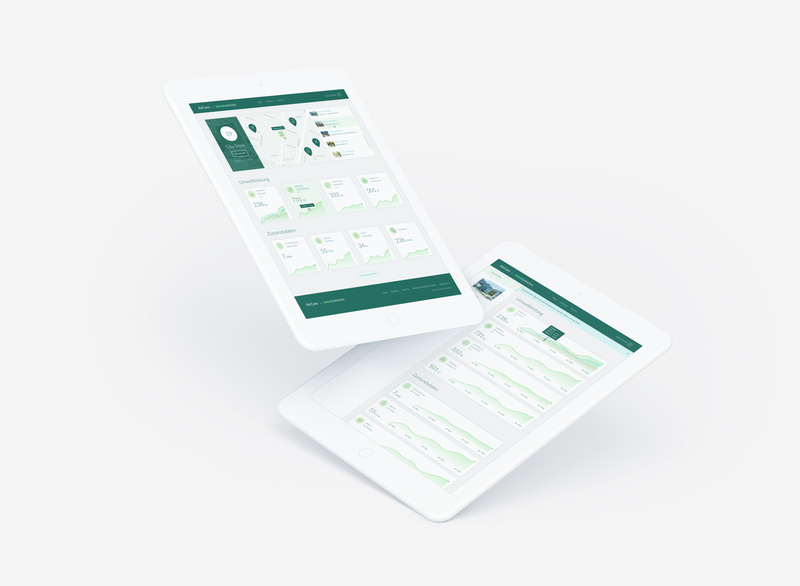 The integrated sensors generate vast amounts of data in real time, which can be reviewed using a specially developed dashboard. 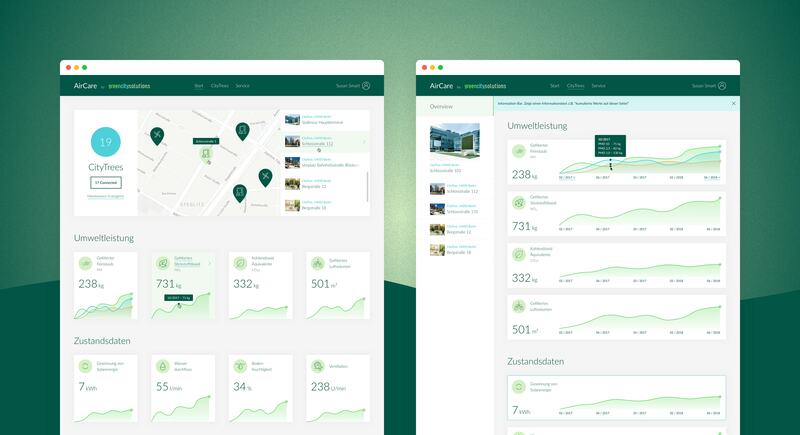 Mondon Design invited me to work on the design of this real-time dashboard. 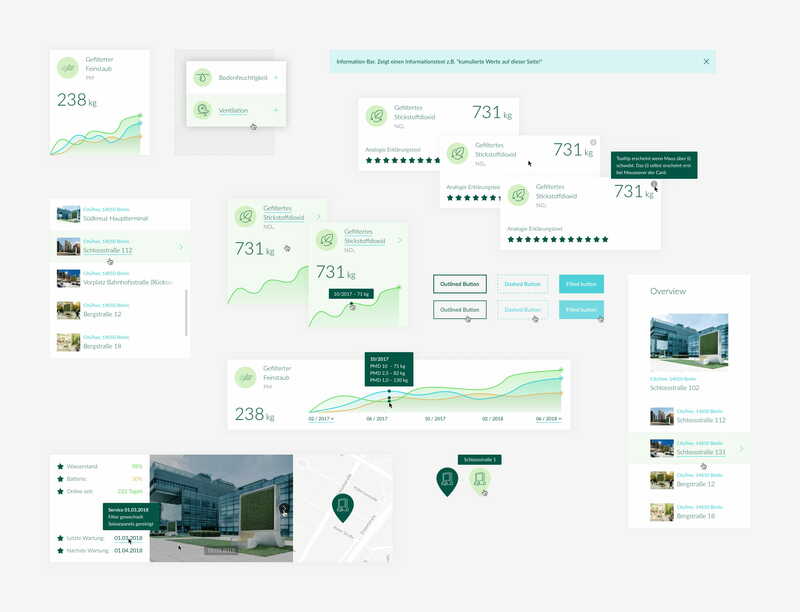 The agency provided me with the UX concept and wireframes which I translated into a clean and human-centered interface design. Further, I created a UI design system with reusable style patterns, ready to scale the interface if needed.